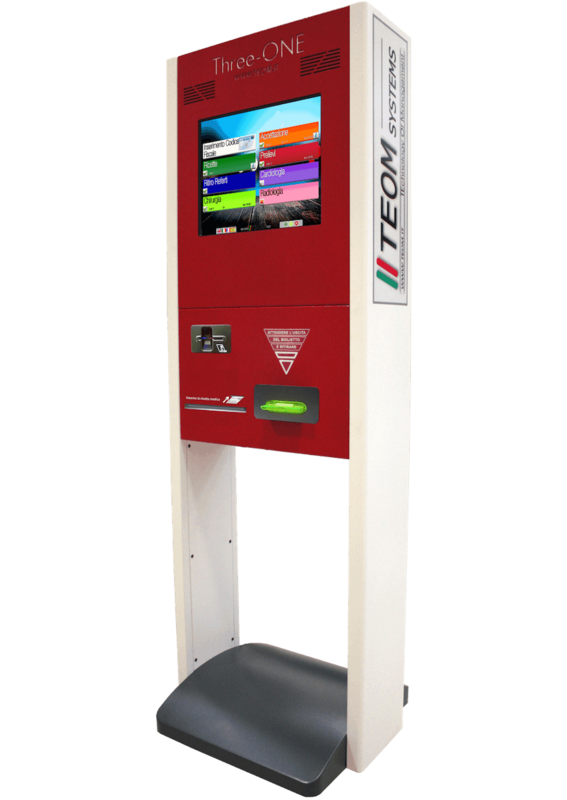 Kiosks designed to work in facilities attended by many Users, equipped with a touch-screen monitor (10” to 32”) for User interface and a high-performance printer for ticket printing on thermal paper. 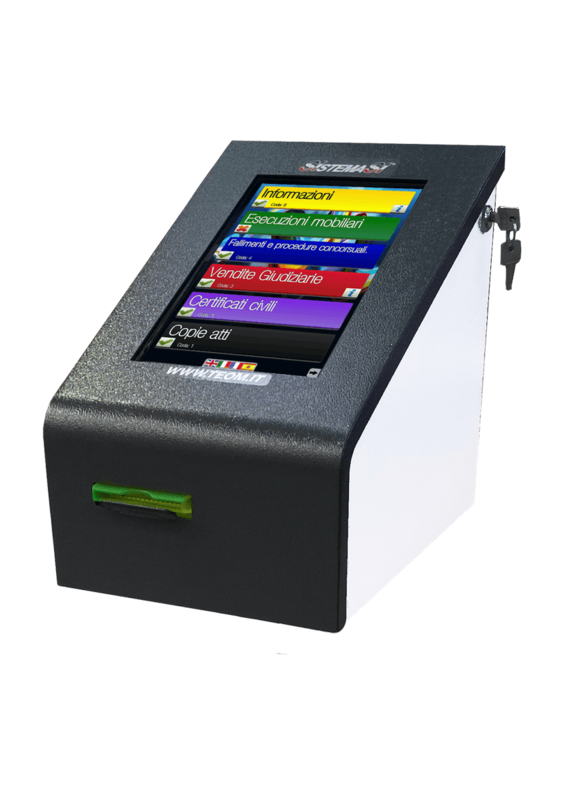 Optional devices include an Health Insurance Card reader and a barcode or QR code reader useful for the implementation of the different features provided by our Systems. 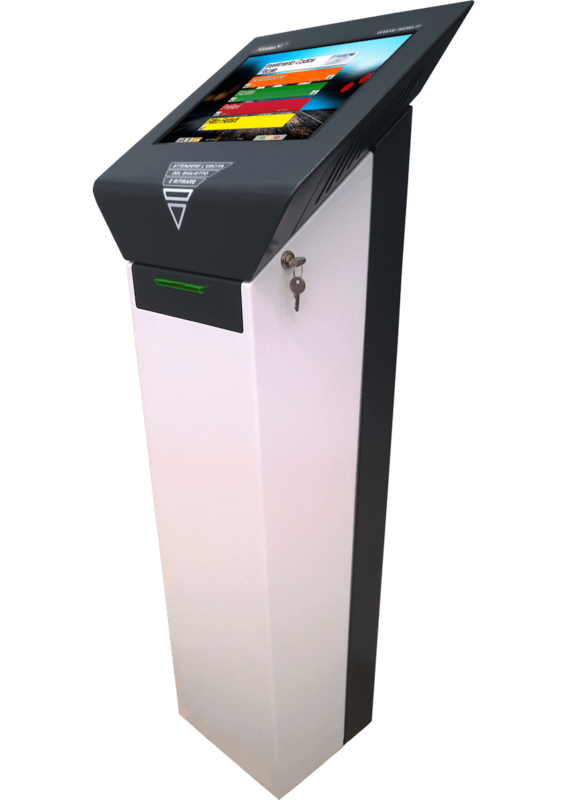 Each model presents different manufacturing solutions in order to guarantee durability, safety and accessibility for disabled Users. 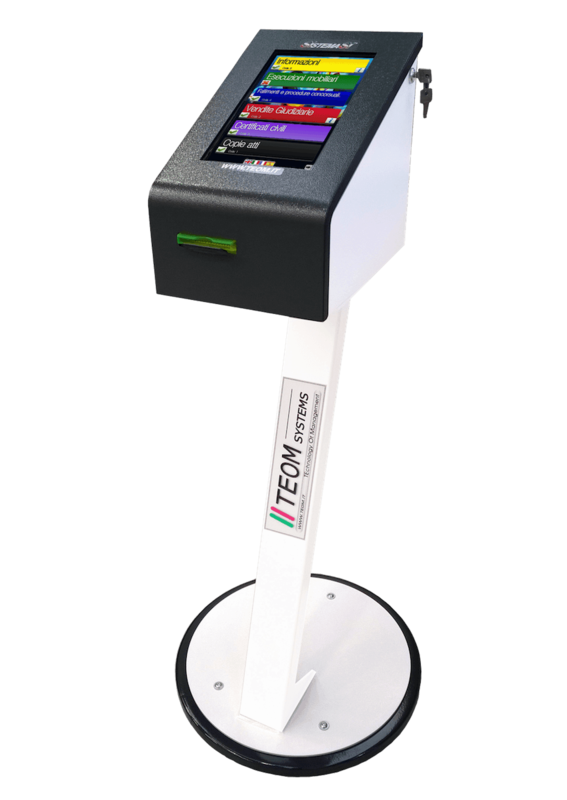 The Customer can choose the most suitable Booking Unit for his/her needs; as the carpentry process is carried out directly by the company, TEOM is able to offer customized solutions for the supplied kiosks. e.g. 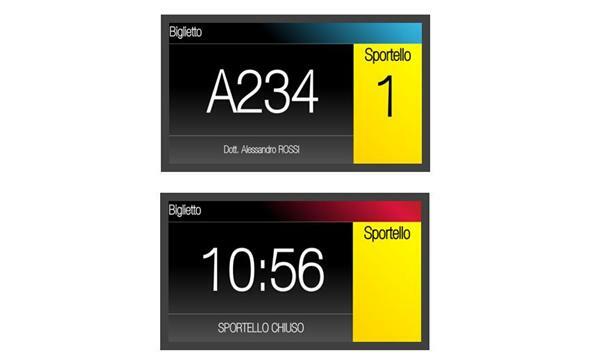 to make it easier for partially-sighted or blind Users to access the service, in accordance with the guidelines set by UICI (Italian Association of Blind and Partially-sighted People) or to add the devices needed to implement the necessary additional features (e.g. Webcam, Scanner or A4 Printers). 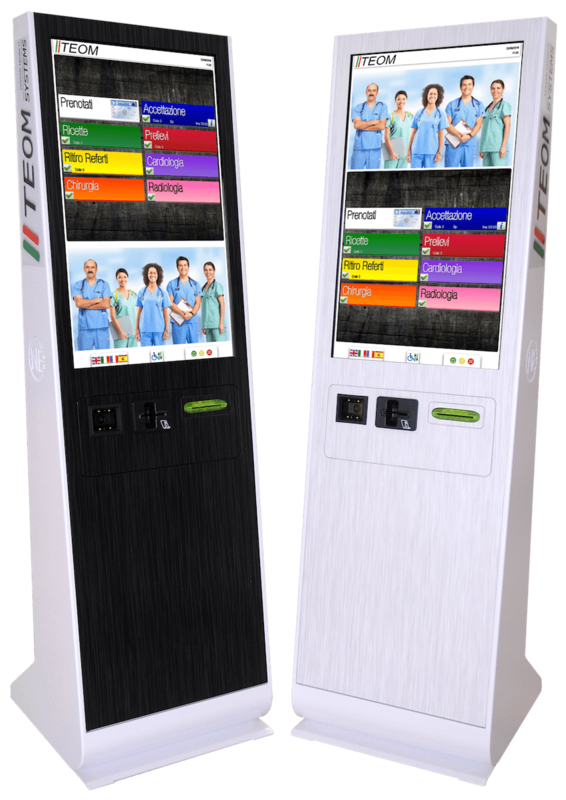 Professional monitors (size starting from 32”) with PC card designed for continuous use, the purpose of which is that of informing Users about the tickets called and the situation of waiting queues. They must be positioned strategically, so as to lead the Users towards the appropriate waiting points and be visible from all of them. 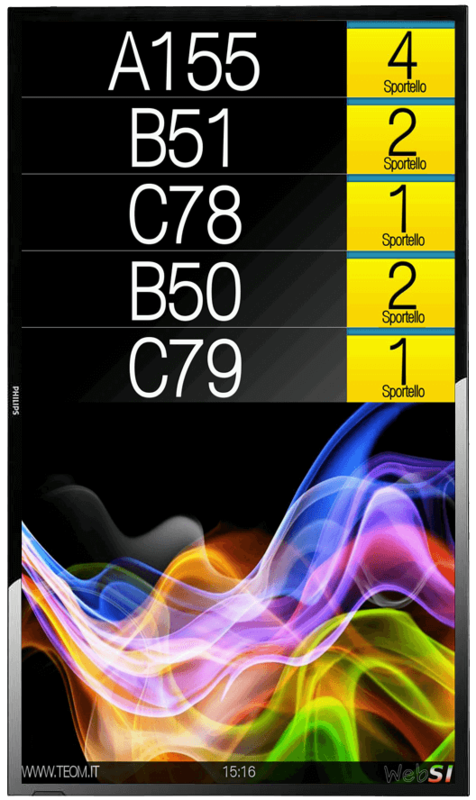 The supplied software makes it possible to set up different ways to display multimedia contents and additional information for Users. 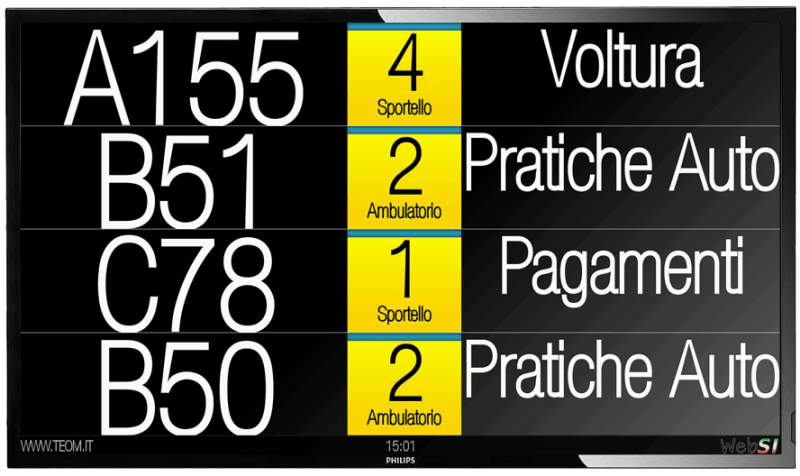 This is an essential instrument to guide waiting Users and manage them on the basis of the planned access flow. 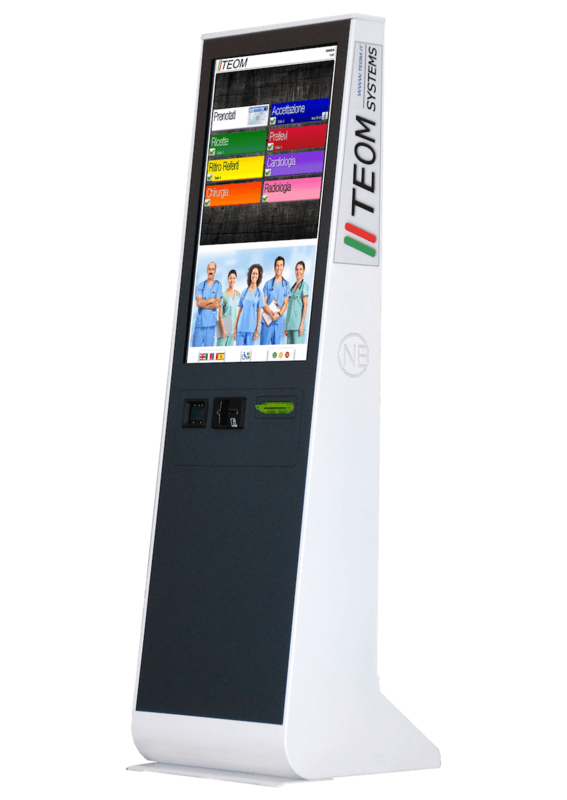 By configuring the User interface on the touch-screen monitors of the Booking Units and the Call Monitors, it is in fact possible to set up specific paths divided by code-colour on the basis of the planned services. 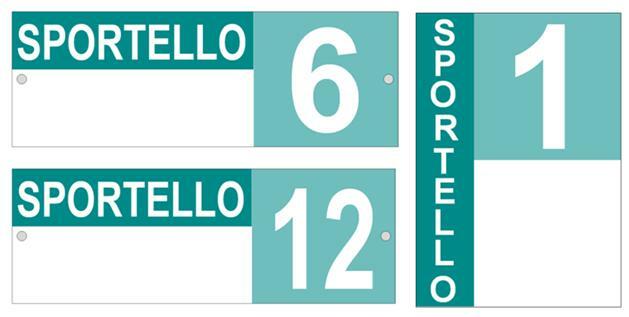 The signage is available in a wall version (horizontal, fastening spacers included) and a table version (vertical) and can be customized on the basis of the Customer’s requirements. 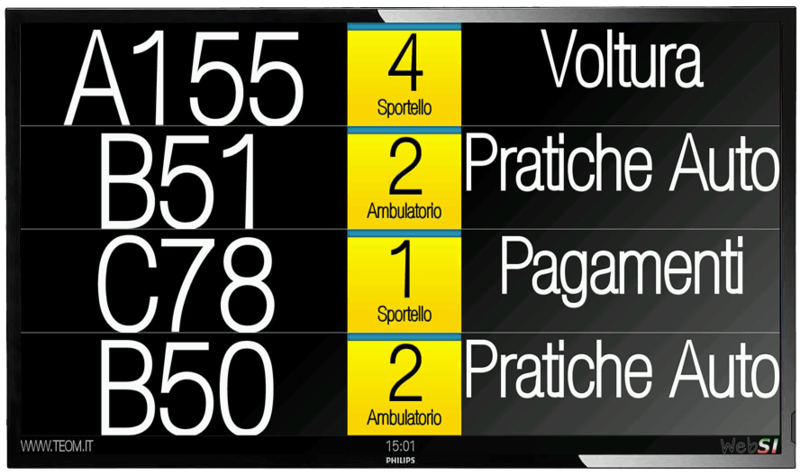 Small Monitors to be placed next to the call point (counter, doctor’s office, room etc. 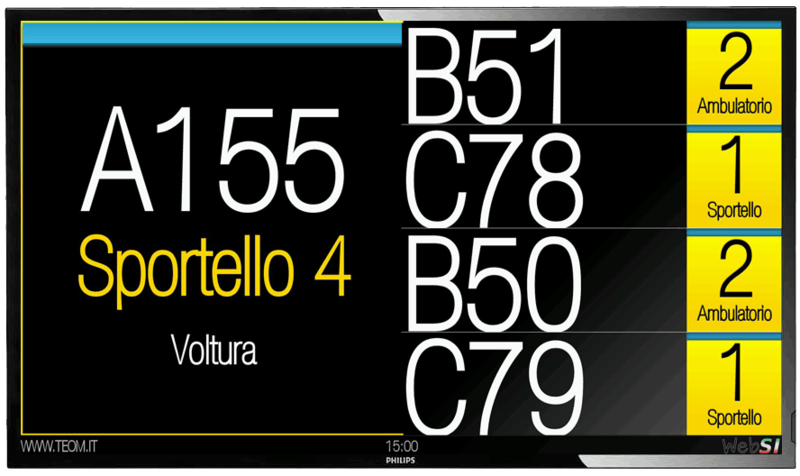 ), as an alternative to static signage, in order to be able to see, in addition to the call point’s ID, which ticket number has been called. 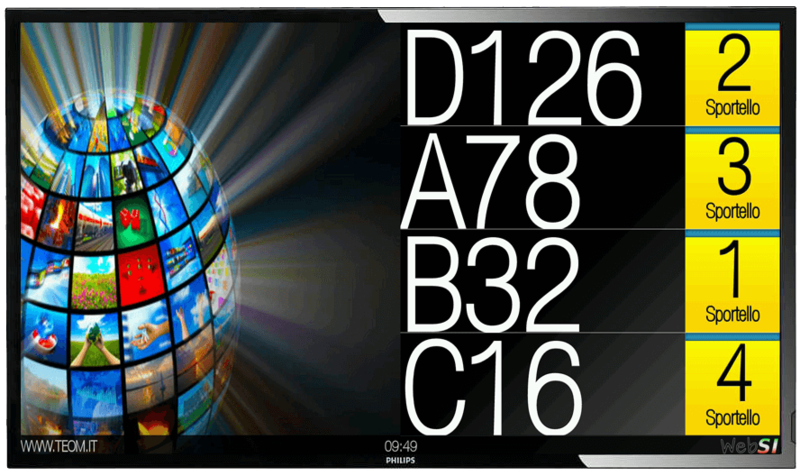 The use of LCD Monitors allows the Customer to show additional information and the calls can be customized on the basis of the System’s configuration. 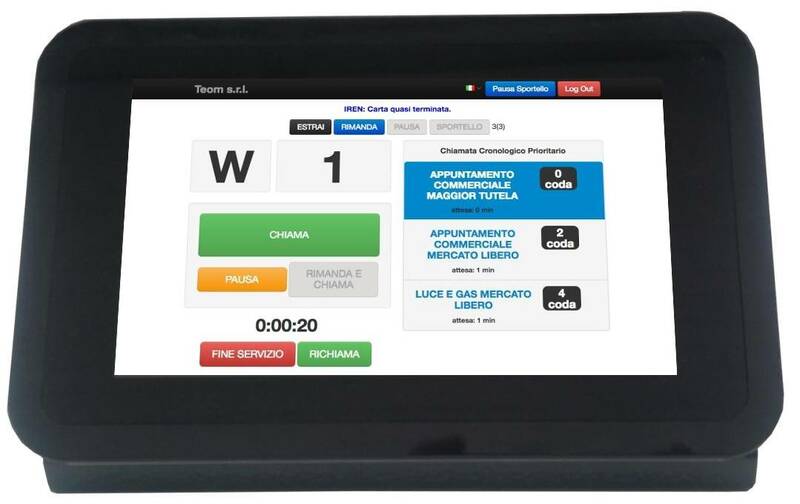 Device with a 7” touch-screen monitor that can be attached to a wall or placed on a table and is connected via LAN: the Operator interface can therefore be accessed from those workstations (e.g. blood sampling room) where a PC is not available.